One of the most valuable, and often overlooked functions of a chamber is being an advocate for the business community. The Chamber works to represent the collective voice of the business community. Whether it's setting legislative goals, sending out Action Alerts or keeping voters informed through our forums, the goal is ensuring an environment where business can prosper. “Though you might not find the time to attend events you can take comfort in knowing the Chamber is working diligently on behalf of your business. Meeting and event attendance is never required! The Surprise Regional Chamber of Commerce offers several membership levels so that every company, big or small, can enjoy the appropriate level of benefits and privileges of membership in the largest and most influential business organization in our service territory. Have a VOICE! 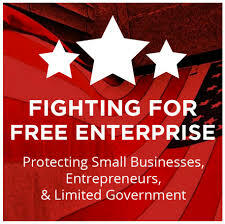 We Fight for Businesses! A chamber of commerce is one the most respected and trusted brands in America! Joining a chamber is an effective business strategy because 63% of consumers think more favorably of businesses that are members. Having your business associated with the Chamber Brand is a priceless benefit. More Public Awareness for your Events! With almost 15,000 views last year, our Community Calendar is used by businesses, residents and visitors alike! Community events, Business meetings, Learning opportunities, Member only events, Grand Openings and more. ​Meeting attendance is never required!